You know it, I know it, that ball just isn’t going to head straight and far down that fairway. What makes the situation worse is that we also just don’t have the time to practice or the money for the lessons with the pro needed to fix the problem. What about if there was another solution that is much quicker and cheaper? What if technology could step in to help? Well, guess what, there is, and it’s not too far out of reach, welcome to the world of forgiving drivers and today we will discover the most forgiving driver for you. what factors that define a forgiving driver. Let’s start with the most forgiving options that every golfer in search of more consistent shots should be familiar with. When it first appeared on the market in 2017, everyone knew about it and wanted to try it. Callaway’s Senior VP of Research and Development noted that company changed pretty much everything when creating this driver, adding the latest innovations and newest technologies to make it…well, Epic. And it’s true: the key factor in this driver is the one-and-only Jailbreak technology, which allows the clubface to flex more, resulting in higher ball speeds, as well as ensuring less deflection through the impact. It has the Adjustable Perimeter Weighting feature, which consists of a 17 gram sliding weight that can help change the feel of this driver. Epic’s adjustability feature also has a huge impact on a ball’s flight, as it can help to correct your shot shapes for about 21 yards. Callaway’s Epic has a slightly deeper clubface and at first it may look like not the most forgiving option. But engineers made sure that it is: the MOI of Epic has been increased to almost 8500 g/cm², it’s center of gravity has been positioned lower, it has a big sweet spot, and even comes with a high variety of shaft offerings. Engineers made sure that Epic can help reduce side spins and keep shots on the fairway, at the same time keeping the ball going further. If you have a faster swing, you will enjoy Callaway’s Epic even more. If you want more personalization and adjustability options in your driver, consider M1 — it’s an absolute winner in this category. Epic offers fewer adjustability options, and XR is a more classic, simpler choice. Also note that Epic’s Jailbreak technology works best with fast swings: the faster, the better. M1 and XR work well with all swing types. M1, Epic and XR — all 3 feature increased MOI and lowered CG. However, Epic is designed for more advanced players, which means that if your HCP is higher than 15, you should choose either the M1 or XR. 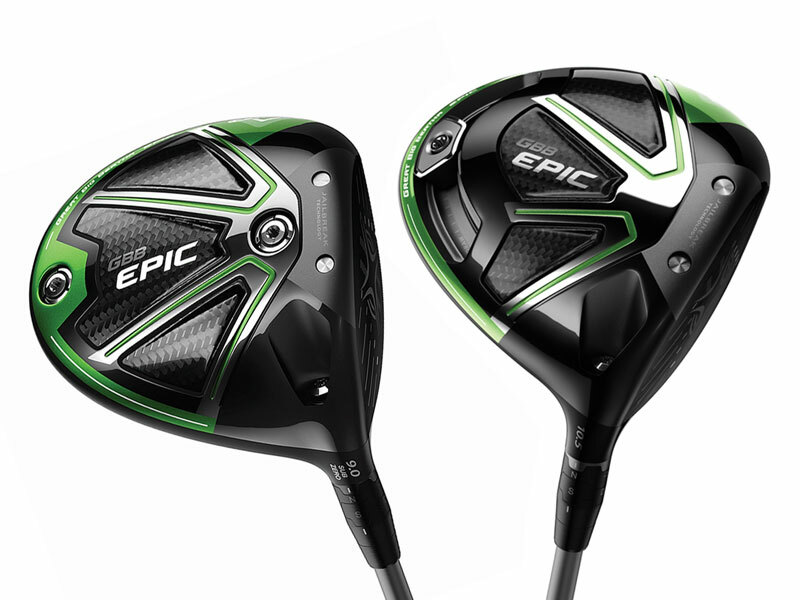 Epic delivers more speed than the M1 or XR, and advanced players will definitely feel control over their shots. However, the M1 and XR are simpler to move around and perform slightly better on mishits. You should also know. Epic has a slightly longer standard shaft, so some players might need additional time getting used to it. One of the top-rated models in terms of accuracy and forgiveness, Taylormade’s M1 allows each golfer out there to create the exact shot they want or need. 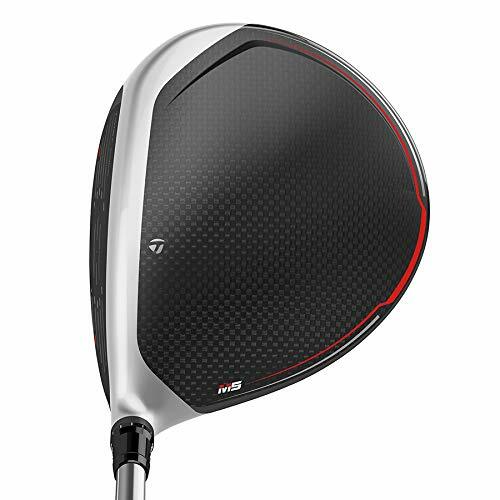 Taylormade named this one “the longest driver ever“, but besides extremely long distance performance (think 5 to 10 yards longer than any other driver), M1 also comes with the adjusted center of gravity, which is pushed back further and lowered. The M in its name stands for Multi-Material construction and is responsible for delivering the highest level of performance. It also features a 6 layer Carbon Composite Crown, which is extremely thin and light, but delivers impressive strength. This feature right there is responsible for long-distanced shots and driver’s playability. M1 has a Movable Weight technology, called T-track system and also features Taylormade’s famous Inverted Core technology, which surrounds driver’s sweet spot on the inside of the cavity. That’s why mishits with M1 tend to go significantly straighter. 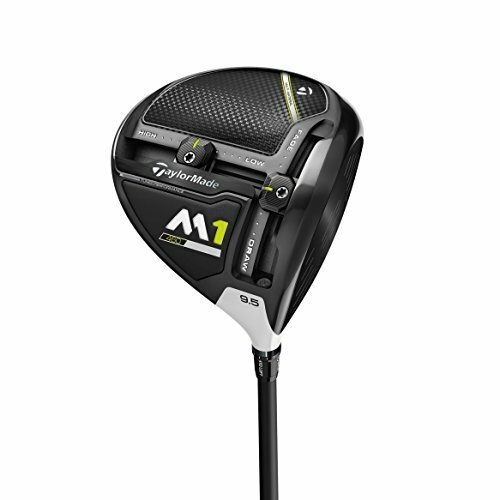 But the most important thing is M1’s adjustability, which makes it a great choice for different level golf players. It features 2 weights: 10 gram weight is responsible for the direction, and 15 gram weight — for forgiveness and ball’s flight, including height. Good news is that Taylormade’s M1 works great with all types of golf swings — whether it’s a slow or a fast one, and can also be used by beginners. It’s one of the most playable drivers out there, making hitting beautiful draws or desired fades equally easy. M1 is a better choice if you’re looking for more adjustability options. Both Epic and XR offers only 8 different loft and lie combinations. However, if you’re not interested in personalization and just want something simple and straightforward, you will like Epic and XR more. These 2 are also better options if you want more speed and power, as M1 does not perform so well in this category. Both M1 and XR delivers a high level of forgiveness and leaves Epic a bit behind. If you want more speed, consider XR. And if you’re more interested in distance, opt for M1. Both perform really well on mishits. You should also know. M1 will deliver similar distance to Callaway’s Epic, while XR performs slightly worse in this category. Epic and XR are better options for those in search of increased clubhead speed. Company knew that making a driver larger and more forgiving often (if not always) makes it more difficult to deliver ball speed. And that’s where Boeing came along, helping to improve clubhead’s aerodynamic efficiency, making the clubface up to 20 percent thinner and 9 grams lighter than the previous model. 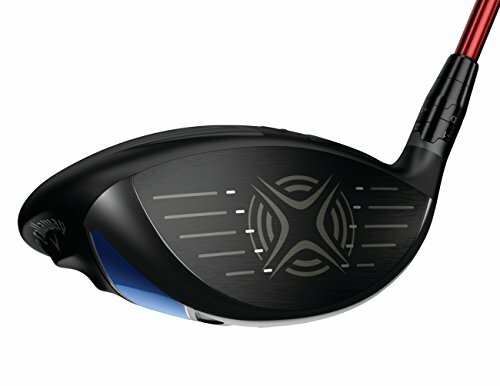 XR has no gravity core, no moveable weights or any other CG moving technology, but it’s an extremely forgiving driver. 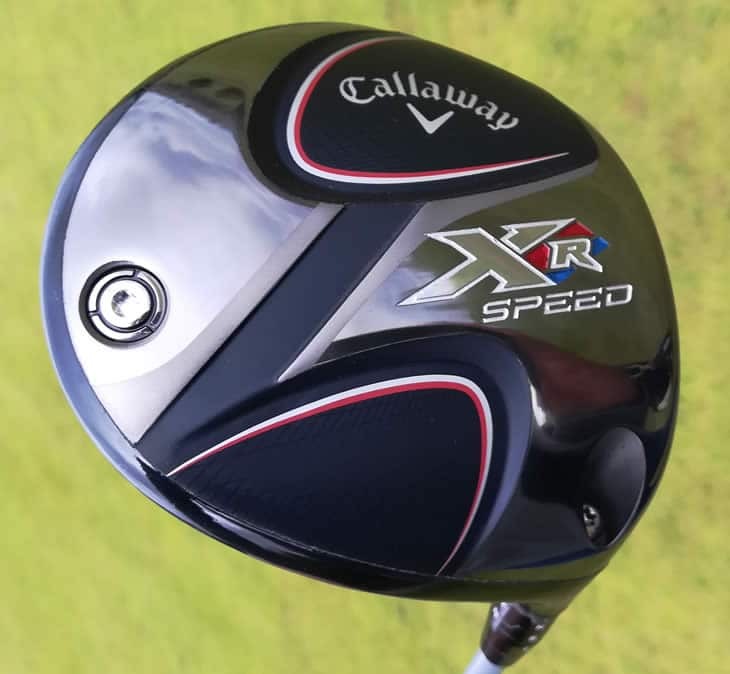 Callaway managed to reduce its backspin by about 277 rpm, at the same time increasing the size of XR’s sweet spot by 16 percent and MOI by 9 percent. Driver’s center of gravity has been lowered and pushed further back, letting forgiveness result in more speed at every impact location, adding more distance for all HCP level players. It also features 8 different loft and lie combinations that can be found on the shaft. And that’s just it: once you combine the faster clubface with the extreme forgiveness in XR, the ball speed becomes amazing, and it doesn’t even matter if you hit it off the heel, off the toe or dead-center. XR is one of the easiest drivers to play with, suitable for both fast and slower swings, and HCP level really doesn’t matter that much with this one. 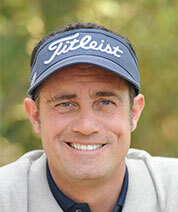 It’s also a great option for players that tend to often hit the ball off the heel or experience frequent slices. Both Epic and M1 are newer products, which means that they are made from improved materials and feature innovative technologies. XR, on the other hand, is a classic choice that can be used by any HCP level. Epic is designed for more advanced players, so it can feel quite challenging for beginners. XR, on the other hand, is easier to play with than Epic. It also delivers a similar forgiveness level as M1. You should also know. When it comes to speed, XR and Epic perform quite similar, while M1 might feel a bit slower. Note that M1 and Epic will give you more distance on your tee shots than XR. New year means new gear. These drivers have just hit the market, and perhaps you’ve already seen some of them on tour. We’ve put together the most forgiving new options for you to check out — and maybe add to your golf bag as well. No secret that nowadays Cleveland is best known for its wedges and putters, and it’s been quite some time since company has released a new driver to the market. It had to do with company’s opinion that there’s actually a huge disconnect between new equipment, its prices and performance, as golfers simply aren’t seeing such a significant improvement in performance that they should. Launcher HB doesn’t have an adjustable hosel or movable weights, and from the first look might seem kinda basic to some golfers. However, HB features a HiBore Crown technology, which reshapes the crown and lets move HB’s weight lower and back, allowing driver’s crown to flex more at impact, promoting higher ball speed and an easier overall launch. 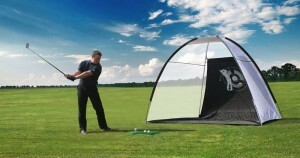 It also positions more mass to produce a high launch and low spin trajectory. It also has a Flex-Fin sole and the Cup Face. The first one is responsible for making your mishits stay in play, while the second one creates a super big sweet spot, which lets you hit the ball basically anywhere on the clubface without losing power. HB’s center of gravity is placed low and back, resulting in higher and straighter shots, and it’s MOI is increased. Cleveland Launcher HB comes with a great shaft — Miyazaki C. Kua 5s, which is stable, yet very lightweight. Together with HB it feels absolutely in sync and offers great balance. 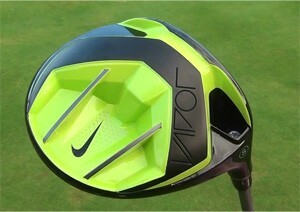 All in all, it’s a really forgiving driver that also comes with a great price. Perhaps simplicity is truly the secret — and HB demonstrates that perfectly. Compared to King F9 and M5, Launcher HB is a classic, straightforward choice. If new technologies and innovations are an important factor for you, then King F9 and M5 might be better options. All 3 feature great level of forgiveness. But F9 is more about speed and consistent shots, M5 is more about personalization and distance, and Launcher HB is more about making those tee shots easier for higher HCP players. 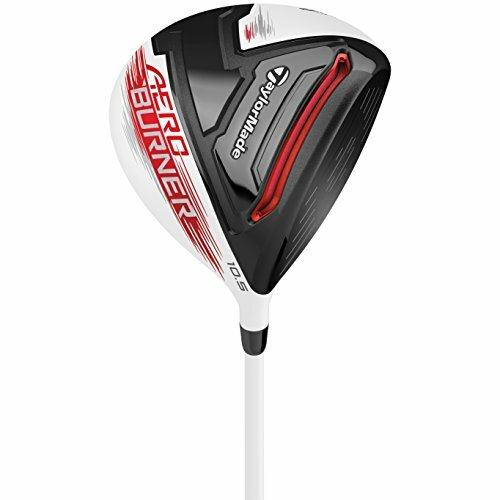 So if you’re searching for a driver that is super forgiving and are not interested in other specifications, then Launcher HB might be a better choice. You should also know. Launcher HB is also the most wallet-friendly option of all 3. However, it comes with one fixed shaft, while King F9 and M5 have more options available. Newest Cobra’s driver was inspired by supercars — and once you see its design, you will have no doubt about it. Cobra states that F9 is the first driver ever that combines both an aerodynamic head and low center of gravity, and Rickie Fowler has already added it to his golf bag. Before creating this one, Cobra asked golfers what they want in a driver. Top3 answers were speed, accuracy and forgiveness. And company created just that. F9 features the Speedback technology, which is a revolutionary advancement in engineering. It helps to optimize clubhead’s speed and ball’s speed, resulting in bigger forgiveness and maximum distance. 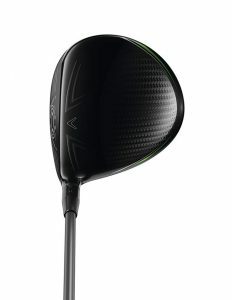 The driver also features the Cobra Connect sensor in its grip. It’s a shot-tracking system that connects to the phone via Bluetooth and lets players track their drives and store data for analysis. Cobra also used a new ultralight carbon wrap crown for F9, which results in delivering a 12 percent larger carbon fiber area and saves as much as 10 grams of weight, compared to drivers that feature titanium crown. The combination of a lowered and pushed back CG and an increased MOI result in straighter mishits, and F9 is actually a very well balanced driver. It feels light, yet stable and delivers great performance. This is a great option for all golfers — think pro tour to HCP 28 — which delivers speed and distance without sacrificing forgiveness. 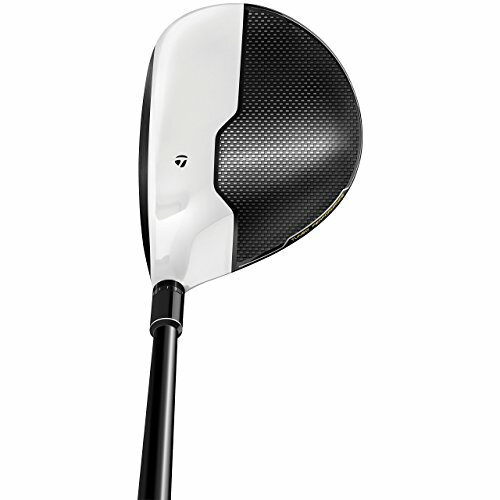 Besides, if you don’t like the yellow color on this driver, Cobra has also released a white version of F9. 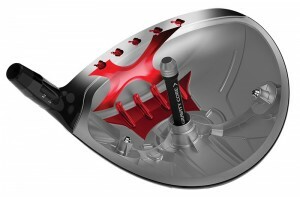 King F9 is a great option for players that want that certain “Wow“ factor in their driver. It’s all about speed and improved aerodynamics — both throughout your swing and in your ball flight. Compared to Launcher HB, F9 will feel more responsive in your hands. All 3 perform well on mishits. At this point, you should decide what specifications are important to you: if you want a maximized clubhead speed, F9 is the best choice. If you’re interested in personalization options and finding the ones that fit your swing best, you should opt for M5. 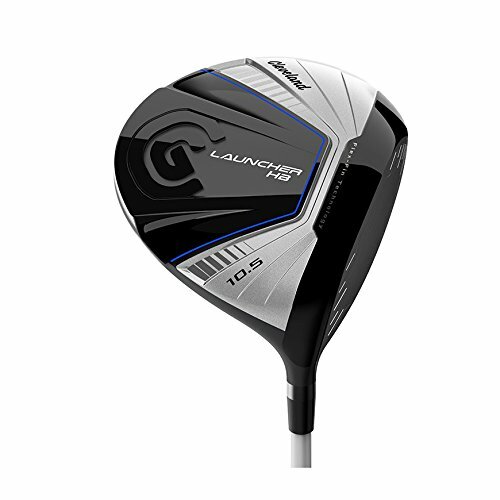 And if all you want it a simple driver with a big sweet spot, Launcher HB is your answer. You should also know. When it comes to backspin, M5 and F9 perform similarly and generate higher levels of backspin compared to Launcher HB. Some players might find F9’s design a bit too crowded and distracting. At this point, M5 and Launcher HB look simple and clean. Taylormade and it’s newest product, M5, has changed the game once again: personalization level on this one is absolutely amazing. M5 features a new clubface, which combines the upgraded Hammerhead 2.0 Speed Slot and Ultra-thin Titanium face. 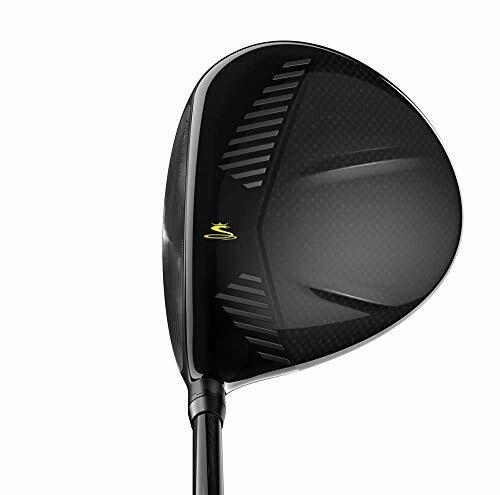 It also has a redesigned Inverted Cone Technology, which dramatically increased driver’s sweet spot: it’s as much as 66 percent larger now compared to M3, and…wait for it…more than 100 percent larger than the original M1 which was released in 2015. The new and updated Inverted T-Track technology features two moveable 10 gram weights that made M5’s personalization more intuitive and simplified than ever, allowing players to experience more precise CG adjustability with 1770 unique CG configurations. This number might scare you, but Taylormade made sure that adjustability process is simple and clear with intuitive high/low and draw/fade settings. The company has also added a Twist Face technology and combined it with high MOI to offer a massive level of forgiveness and improved speed to each golfer’s shots. But there’s more: M5 also offers a wide range of MOI options, assuring even more protection on mishits. 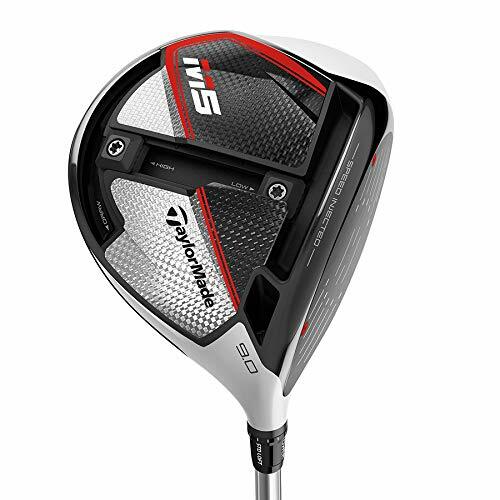 Referred to as “the best all-round driver“ M5 is a nice looking and sounding driver. It’s a great option for players that tend to struggle with their shots off the tee, and is a good choice for all HCP levels that want forgiveness and serious distance. M5 is all about swing personalization and distance. It allows you to decide what shot shape you prefer the most, as well as choose options that fit your swing best. F9 and Launcher HB do not offer the ability to adjust the preferred shot shape. However, compared to F9, M5 might feel a bit slower, as it features a new Speedback technology which lets to create a more efficient transfer of energy to the ball. As we’ve mentioned before, all 3 — M5, F9 and Launcher HB — delivers great results on off-center strikes and tons of forgiveness. However, M5 has a larger sweet spot than F9 and Launcher HB, and might feel easier to maneuver. You should also know. M5 costs a bit more than King F9 or Launcher HB. 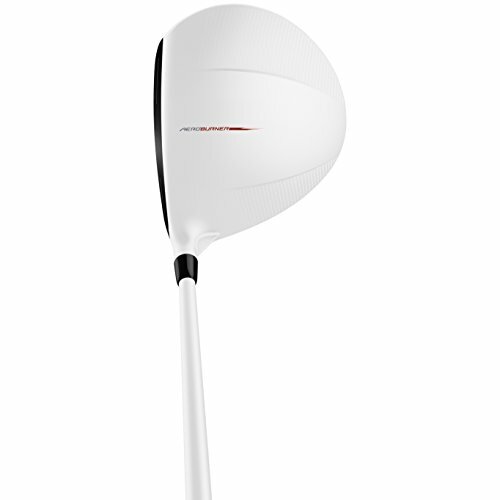 It also comes with a Pro-Tour version, if you’re interested in a slightly smaller club head. If you’re searching for a forgiving driver that would also be great value for money, consider these options. If you’re looking for a wallet-friendly driver that features a high level of forgiveness, Callaway’s X HOT is definitely one of the best options out there. It’s a fast, lightweight driver with a powerful Speed Frame Face Technology, which increases ball speed, saves weight and ensures efficient energy transfer throughout the tee shot. This technology also guarantees much better distance even on the mishits. Speed Frame Face on X HOT allows golfers to choose between an open, square or closed clubface position, resulting in the preferred ball flight trajectory. Technology is also responsible for optimizing CG, which delivers more forgiveness. X HOT has a deep clubface and a lowered CG, which gives lots of height and distance for tee shots, as well as lower spin and straighter trajectories. 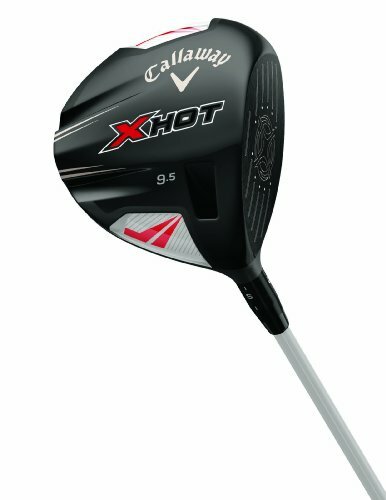 One of the best things about X HOT is that you can change its shaft to any other from Callaway’s line without needing some special adapter. 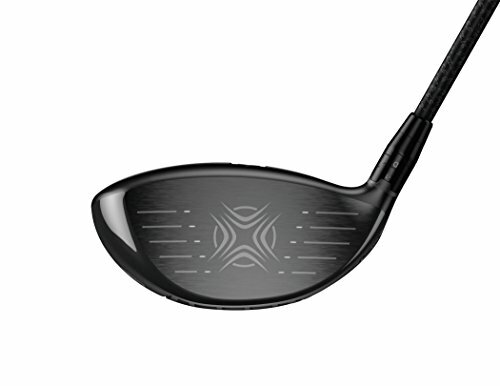 Callaway designed X HOT as the most forgiving driver of its 2013 line of drivers. It’s a simple, classic looking driver that sounds good and delivers a great level of forgiveness, especially on those off the heel shots. The Speed Frame Face gives good distance even on the bad shots. This might be a better option for mid to high HCP golfers, while more advanced players can choose X HOT Pro model. The great thing about it is that it gives you a feeling that you can’t possibly miss the sweet spot on its clubface. Both X HOT and Aero Burner are designed to feel the speed: one features the Speed Frame Face, the other — Speed Pocket. Both drivers create a lot of ball speed, but X HOT tends to produce a little too much spin. If speed is not on your radar and you’re more interested in adjustability options, then King F6 might be a better option. X HOT helps control fades and prevents them from becoming big slices. 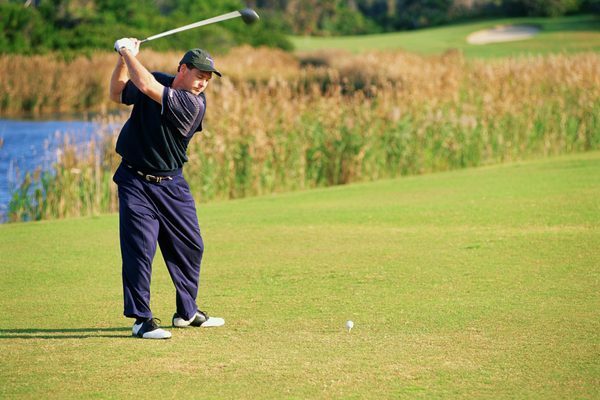 However, some golfers might find it a bit too light, making it difficult to locate the clubhead throughout the swing. At this point, F6 offers better results on mishits, and both toe and heel strikes tend to stay in play. You should also know. X HOT is a winner in this category when it comes to distance. Lightweight, impressively forgiving and definitely wallet friendly — Adams Golf Blue driver makes it easy to trust it. It’s a great option for various HCP levels, but higher handicappers might enjoy it more. 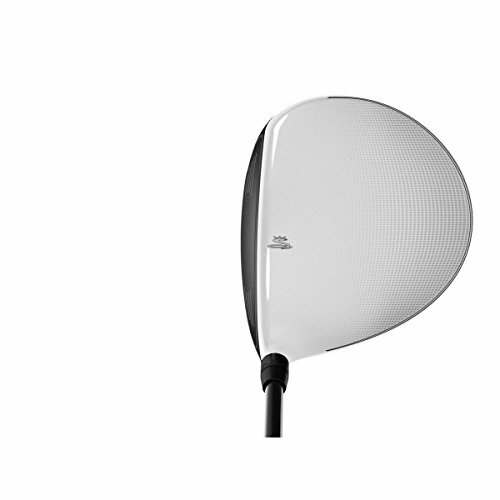 This driver has a Velocity Slot technology, which is responsible for delivering golfers more flex with more speed. It has a large 460 cc titanium head. The CG is positioned low and pushed back as far as possible, delivering nice and high launch angles. Blue features an Easy Launch System which is responsible for launching the ball into the air easily, at the same time improving swing speed and adding distance. Driver’s clubface is a really forgiving one, the sweet spot is big, and Blue manages to find the fairway almost every time. Miss hits also tend to fly in an acceptable trajectory without too much sidespin. The blue driver comes with 55 grams Aldila Slimtech graphite shaft, which is easy to manage and light to swing. Blue driver features a sleek, metallic blue crown, is colorful and subtle. It also has a red alignment mark and some white lines, making the whole set up process simple and accurate. This driver also features a slightly closed clubface, so those players that tend to slice their tee shots can benefit from it a bit more. Blue will feel good and comfortable in your hands. Within this one, you will find a reasonable price with attractive features, advanced technologies and a great level of forgiveness. Adam’s Blue does not feature any exciting technologies, it’s a quite simple, straightforward choice. If you want to try at least a few adjustability options or are interested in speed improvement, then F6 or X HOT might be a better choice. 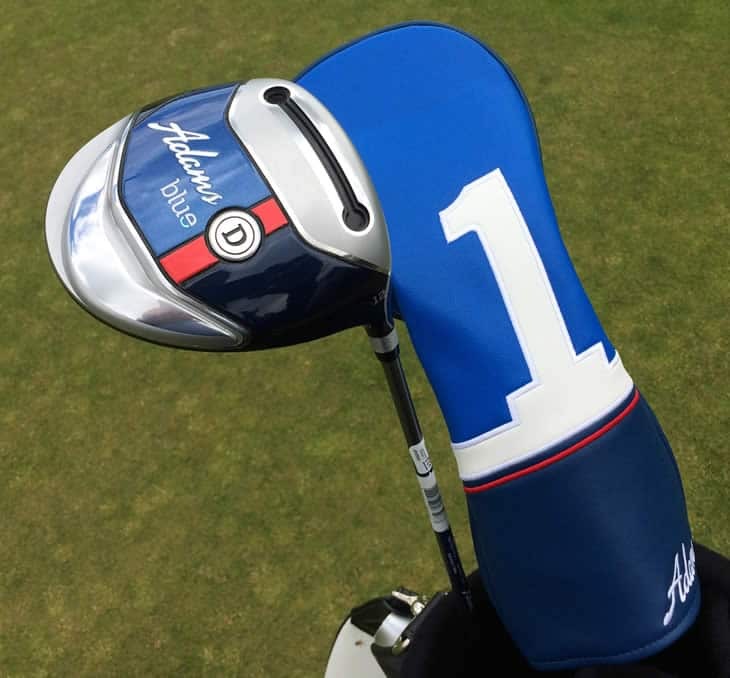 Blue is a truly forgiving driver and features one of the biggest sweet spots — larger compared to X HOT or Aero Burner. However, achieving consistent swings can be quite hard, and better golfers note that it’s difficult to shape shots as they would like. If you want to have an option for creating your own shape shots, then F6 might be a better option than Adam’s Blue. But if forgiveness is your main concern, then Adam’s Blue is the best choice in this category. You should also know. 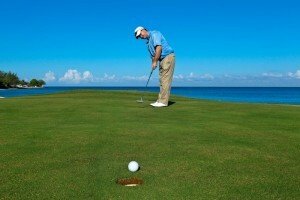 Some golfers note that at impact Blue feels a little hollow. If acoustics is an important aspect for you, then Aero Burner or X HOT might be a better choice. 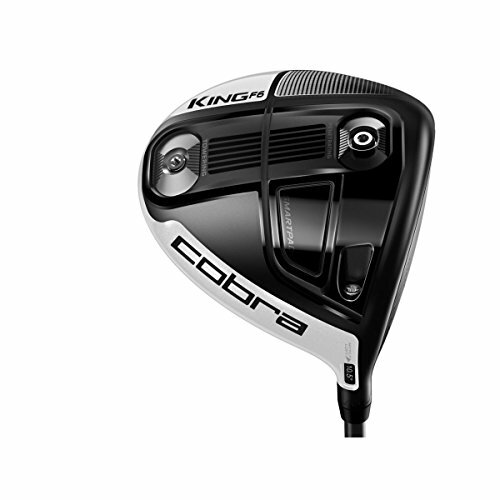 Once it appeared on the market, Cobra presented King F6 as its most forgiving adjustable driver with CG tuning. 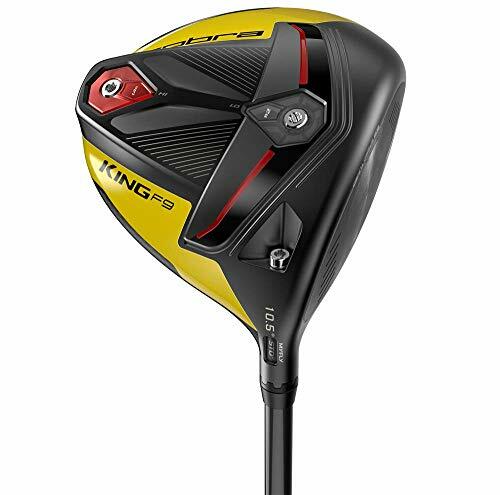 King F6 is one of the game improvement drivers and combines both distance and forgiveness. It features Front to Back CG technology, which optimizes the ball flight, adds more distance to tee shots and gives great launch trajectories. 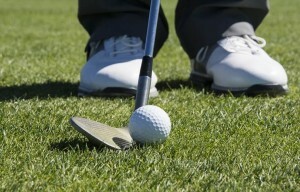 Every golfer can choose the preferred CG settings according to their swing. A front CG position delivers a ball flight with slightly more roll, while a back CG position results in a higher ball flight with more forgiveness on mishits. King F6 also features MyFly8 technology with SmartPad: 8 adjustable loft settings are responsible for maximizing distance and managing shot’s trajectory for any HCP level and any swing — fast or slow. Cobra has also re-engineered driver’s face, adding a Forged 8-1-1 Titanium E9 face, which is much lighter and thinner than in previous models. It also features a larger sweet spot, making it more forgiving on the mishits. Thanks to selective use of a lightweight titanium alloy in its face and crown, King F6 features a really great level of forgiveness, and even the bad shots are significantly less noticeable with this one. 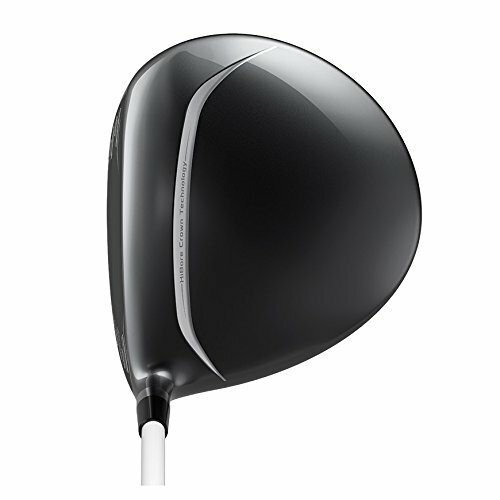 This driver is light, large (460 cc) and really stable. It’s also well-balanced, easy to move around and easy to play with. The adjustable options are really easy to use, and overall it gives players great confidence before hitting that first (and second, and third) tee shot. And it’s wallet-friendly as well. King F6 is the only driver in this category that offers adjustability options and a chance to manage the preferred ball flight trajectory. However, if you are not interested in personalization and want something simple, then Adam’s Blue might be a better option. King F6 delivers a great level of forgiveness and performs better on mishits than X HOT or Aero Burner. It also produces more spin control compared to Adam’s Blue. However, if you have a quicker tempo, F6 might not be the best option, as in this case, it becomes quite difficult to keep your ball in line. At this point, you should opt for either Aero Burner or X HOT. You should also know. Some players tend to have trouble squaring up the big head. If you want a driver that is even lighter and simpler to move around, consider Adam’s Blue, X HOT or Aero Burner over F6. 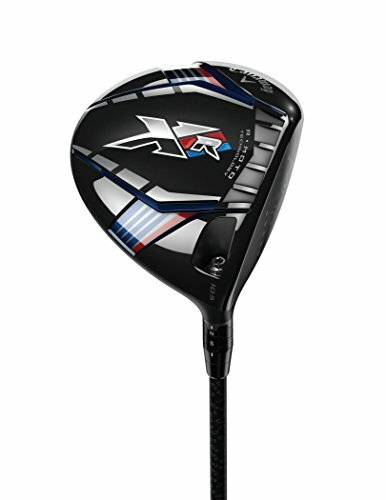 Presented as a “unique club that has all it takes to give golfers consistent swings“, Taylormade’s Aero Burner is another great option for those in search of a budget-friendly driver that also offers forgiveness. Aero Burner’s clubhead is big — 460 cc, and features a Speed Pocket that is amazingly effective in reducing spin and increasing sweet spot. Forgiveness level is also impressive, although Aero Burner does not feature adjustability option. This one is a great choice for golfers that want to get their tee shots up in the sky, as Aero Burner provides high-launch trajectories. One of the best things about it is that it manages to turn slices into beautiful fades, and hooks — into draws, keeping the distance solid even on off-center hits. This driver looks good and feels comfortable. It’s also one of the lightest clubs in its class and comes with a lightweight Matrix shaft, which is made from graphite and comes in stiff, senior and regular flexes, and TM Speed Grip, which feels nice in your hand. Aero Burner is consistent, fast and aerodynamic, and despite being quite long, it allows golfers to increase their club speed. It’s a great option for all HCP levels, although players with fast swings might find a stock stiff flying a bit too high with too much added spin. 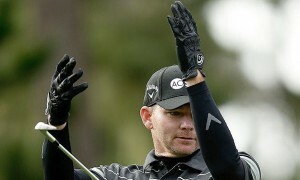 Such players should consider finding a bit heavier shaft for their Aero Burner. Aero Burner and X HOT feature quite similar technologies and both deliver great speed. However, X HOT uses speed technology to produce mid launch and low to mid spin, while Aero Burner performs slightly different and offers much higher launch and higher spin on your tee shots. If you need more consistency when it comes to your tee shots, then Aero Burner is definitely the right choice. Adam’s Blue also performs well in this category. However, although Aero Burner has an increased sweet spot, X HOT performs slightly better in this category. Compared to Aero Burner, it delivers maximum forgiveness on those off-center hits and is a particularly good option for players that tend to slice their drives a lot. You should also know. Aero Burner is a great choice for light swingers who need an altitude adjustment. It’s also the best option for golfers who want to get that ball up in the air, while X HOT and F6 delivers lower trajectories. We’ve put together a list of the drivers that every lady should check out and get familiar with if they are after forgiveness. If you want to hit your tee shots straighter and significantly better, at the same time feeling more confident about them, definitely try these options. King F7 driver debuted as world’s first connected golf club, powered by Arccos technology. 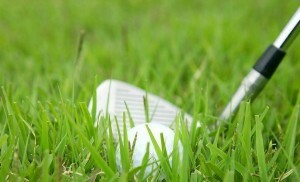 Using it, golfers can automatically track the distance and accuracy of every tee shot they hit. Driver is equipped with 3 CG settings in the front, back, and heel positions, and each of them produces a very different ball flight, at the same time adding more distance to the shots. Cobra made sure that Ladies F7 has a lighter crown (by 20 percent, to be exact), and its CG is lowered and pushed back as far as possible, guaranteeing a great level of forgiveness and an improved MOI. 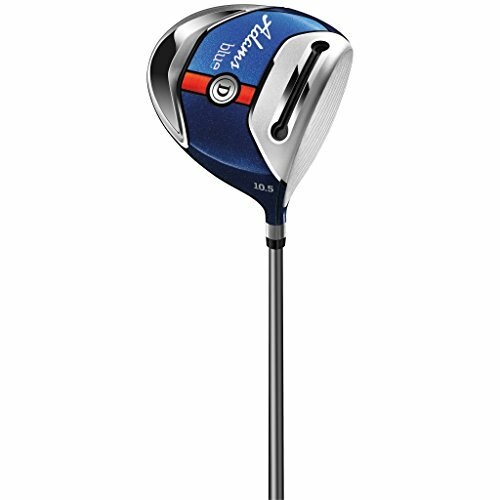 It also features Cobra’s MyFly8 technology with SmartPad, which allows to choose the preferred ball trajectory and launch with 8 different loft and lie combinations, while keeping the clubface square. Basically, it guarantees much straighter tee shots and makes sure that each of them finds the fairway. Ladies F7 also has a big sweet spot, which helps to increase ball speed and distance on off-center hits. It comes with a light (52 g) Fujikura Pro 50 shaft and Cobra’s Lamkin Rel Silver-Arccos grip. 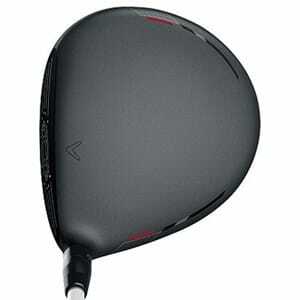 This driver is a good option for mid to high HCP levels and is a great value for money. It’s really easy to hit and lets each player decide which ball trajectory and flight they prefer more. King F7 is a great option for ladies who like to track and analyze their tee shots as it features the famous Arccos technology. However, if you’re not interested in collecting data, M2 and XR 16 might be better options. If personalization is an important aspect for you, F7 is a great choice, but M2 is a winner in this category. F7 has a large sweet spot and will deliver great distance to your tee shots, just like M2. However, X 16 performs better in this category. It features a much larger shape for MOI with a much bigger footprint, delivering great results for off the heel and off the toe shots without sacrificing distance. You should also know. F7 is optimized for slower swings, while M2 and XR 16 works great in both cases. F7 is also slightly lighter than M2 or XR, so some ladies might lack consistency. Distance, forgiveness, and adjustability — Taylormade Ladies M2 driver has it all figured out and combined. Taylormade’s M2 — both men and ladies versions — was the biggest surprise of the 2016 golf season, and everyone wanted to try it. 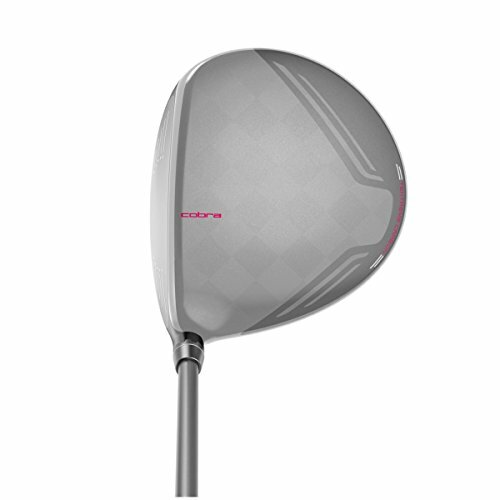 Built with a multi-material construction that features extremely light, thin and high-strength Carbon Composite Crown, Ladies M2 provides exceptional distance and forgiveness. 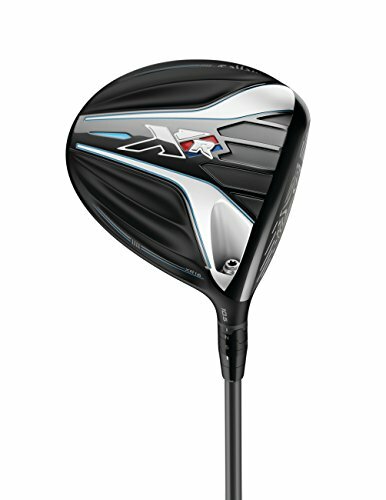 Taylormade used a combination of high MOI, Inverted Core technology, and a redesigned Speed Pocket. This way Ladies M2 ensures higher stability of the clubhead through the swing and an increased level of forgiveness. It comes with a fitted Ladies Fujikura REAX lightweight graphite shaft, which makes it even easier to launch your tee shots up in the air. It also features Geocoustic Technology: Taylormade combined innovative shaping to increase the overall MOI with improved acoustic engineering, making Ladies M2 sound and feel much nicer at impact. CG is placed lower and deeper on this one, and it helps to generate high launch and low spin ball trajectories, at the same time enhancing stability. 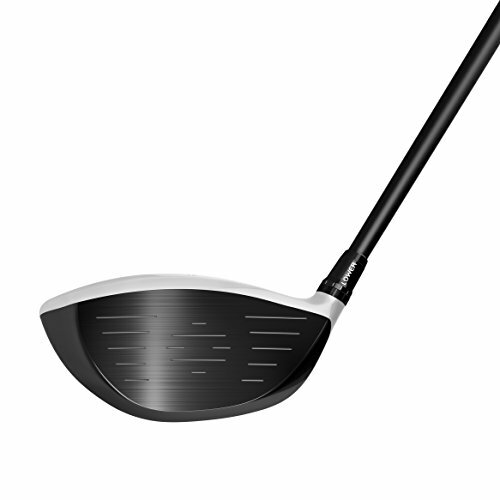 Ladies M2 is a flexible, fast and forgiving driver that can be used by all levels of HCP. Higher handicappers will enjoy a slightly larger M2’s shape, as it will give more confidence before hitting that tee shot, while lower HCP players will definitely like the distance and feel of control. M2 is a great option for players that are interested in personalization and finding features that fit their swing best. However, if you’re more interested in speed technologies, then XR 16 might be a better choice, as it features improved aerodynamics and speed. 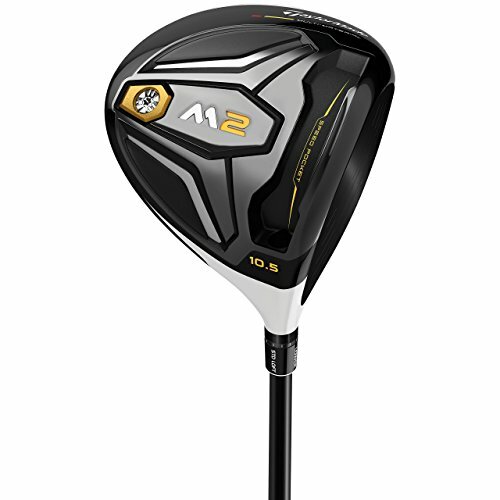 M2 is a truly forgiving driver that produces high launch and low spin shots. However, nor F7, nor M2 performs so great on mishits compared to XR 16. Compared to F7, M2 offers more stability. It also adds more distance. You should also know. M2 is designed for all HCP levels, just like XR 16. However, if you want a driver that is designed specifically for mid to high HCP players, then F7 will be a better choice. This one really talks ‘forgiveness’ — Callaway designed a driver for ladies who want extra distance and better accuracy, making tee shots straighter and much more forgiving. Company presented XR 16 with a tag line “Forgiveness meets fast“, and that’s what this driver is about. Ladies XR 16 was created together with aerodynamic technicians from Boeing, so this driver has an improved clubhead, which allows to reduce drag and increases stability throughout the swing. It’s also considered to be the most forgiving clubhead ever, and Boeing made it equally fast with an improved Speed Step Crown. Forgiveness is truly amazing on this one — Callaway combined larger clubhead for more MOI, a stretched out crown for bigger footprint, and also lowered and deepened driver’s CG. To generate even more ball speed, Callaway added the next generation R MOTO face, which is 19 percent lighter and thinner. The saved weight was used to redistribute it into the driver’s head for more MOI. Ladies XR 16 feels great at impact, it’s fast yet stable. R MOTO face ensures better results for those off-center hits, while stronger face material adds more distance. It looks great, sounds solid and is easy to play with. 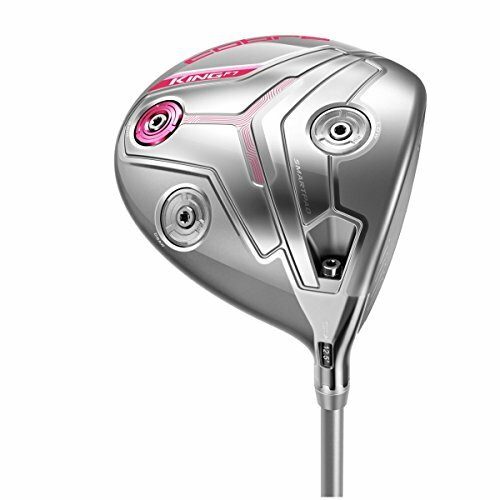 Ladies XR 16 delivers an extremely high level of forgiveness, and can definitely be called one of the top choices in its class. Besides, it will add about 20 yards to your game. XR 16 combines a few speed-enhancing technologies. However, if you want more adjustability options, consider trying M2 and F7. XR 16 offers a ton of forgiveness and accuracy. It also performs better on mishits than F7 and M2, and tee shots are significantly straighter. If you want more distance on your tee shots, keep in mind that M2 and XR 16 will deliver better results than F7. You should also know. If you prefer your driver to be lighter, note that F7 and M2 might be better options as XR 16 is a bit heavier. Now, as we’ve covered the best options, let’s get into some specifics that every golfer in search of the most forgiving driver should know. The technology behind golf has come forward in leaps and bounds. In the past, the drivers or golf irons used were basically blades having a small and thin clubface with the mass concentrated solely behind the sweet spot. This meant that if you were to hit the ball off-center then it would result in a poor shot. Literally, giving you no margin of error. Karsten Solheim, the great golf inventor, is the man who you can thank for the forgiving drivers as he was the one who introduced the concept of perimeter-weighted irons into the game. These drivers helped in lessening the effects of a mishit or off-center strike by moving the mass to the perimeter of the driver head and are now termed as forgiving drivers. Step forward to today when a combination of a large face, over sized frame, and the internal-weight savings of the modern forgiving driver achieve an effective outcome. 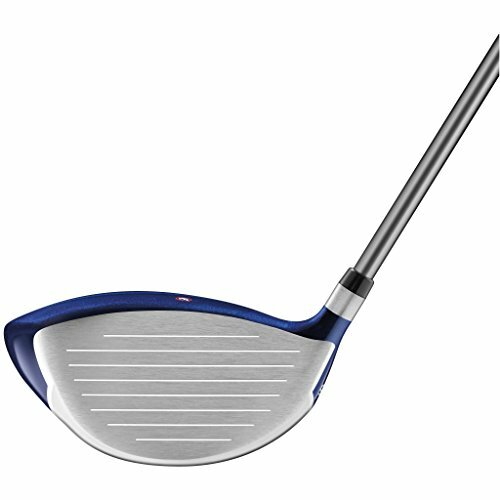 The large face on drivers such as these give you some leeway on having to hit the ball exactly in the middle of the club. 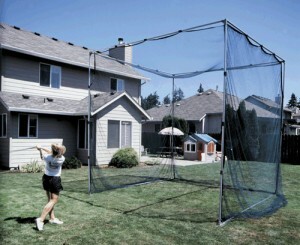 For a player with a faster swing, this could be the perfect answer. Some players have naturally slower swings or come to the point in their lives that their bodies just can’t do what they used to anymore. The over sized frame of amplifies the trampoline effect of the club face meaning the ball will receive an extra spring effect from the club, sending it further down the fairway. Giving control back to the player isn’t easy to achieve when there are so many elements of a perfect golf swing. However, a good forgiving driver saves on internal weight in the club head and thereby allowing the players natural swing to not be adhered by the weight of the club. Professional golfers tend to prefer heavy clubs as they use this additional weight to their advantage in power and control. But for the amateur just looking for a stroke or two less of the handicap, the most forgiving drivers can give you a semblance of control over your shots. You can lose confidence in your golfing abilities pretty quickly if you stick with a golf club that punishes you severely for hitting mishits. In contrast, having more drives go down the middle of the fairway and at a much further distance than you’ve ever gone before can do wonders for your confidence. 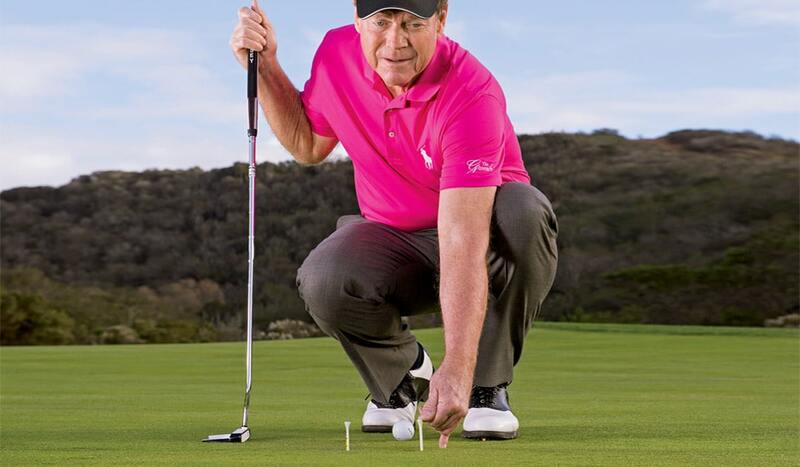 Especially in other facets of the game, like putting and chipping. This is very important, because golf is just as much a game of confidence as it is ability. Like we mentioned before, fixing issues with your swing is no cheap undertaking. 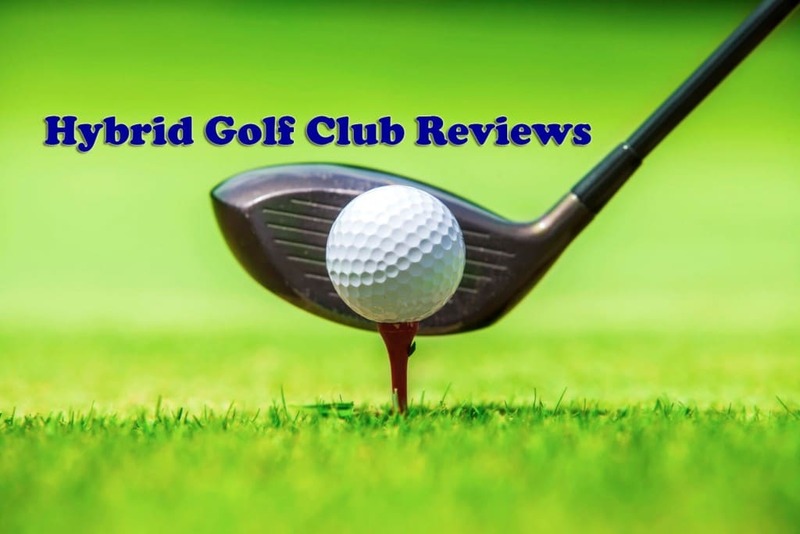 There will be many lessons with the local club professional, time at the range (and the cost of hiring range time plus balls), or even buying and installing a golf netting in your own backyard. If a single club can eliminate all of this and save you on time and money, while slashing those strokes off the scorecard, then why not? This refers to the hollowing of the back of the club head. This hollowing out of the back of the iron head creates a cavity which transfers the mass of the club head around its perimeter, creating a larger sweet spot for you to hit. These drivers have a cavity back which increases their forgiveness and makes them easier to play golf with. The size of the club head and the diameter of the face of the club are distinguishable elements of a forgiving driver because you will notice that that are much bigger than any driver you have seen before. This has to do with increase the MOI and below we will discover exactly what high MOI means. But for now, it’s important to note that the size of the club head relates to transiting all the weight resistance of the twist into the club head itself. A golf club is said to have an off-set if the leading edge of the clubface is set back from the neck. Off-set is another design feature that you are only going to find in drivers. MOI or Moment of Inertia is the resistance of an object to twist around its axis. You will find that the most forgiving drivers all have a high MOI because of which they twist less if you mishit a ball. Let’s take some time to cover this topic, because it’s a core principle behind this technology. MOI is calculated by how much an object resists an angular acceleration or in other words, twisting. To understand this concept we’ll do a practical exercise. Firstly, pick up your golf club (any club will do) and on each end of the club tie two equally heavy objects, maybe a shoe on each end? Now, with the heavy objects on the absolute ends of the club, try twisting from side to side while keep the club parallel to the ground. Not easy is it? Ok then, we can make things a little easier for you by moving the heavy objects to the center of the club. Again, try twisting now with the objects in the center. What you will notice is that it’s a little easier and what you have found is high MOI. High MOI is what club makers use to add the forgiveness to the club. 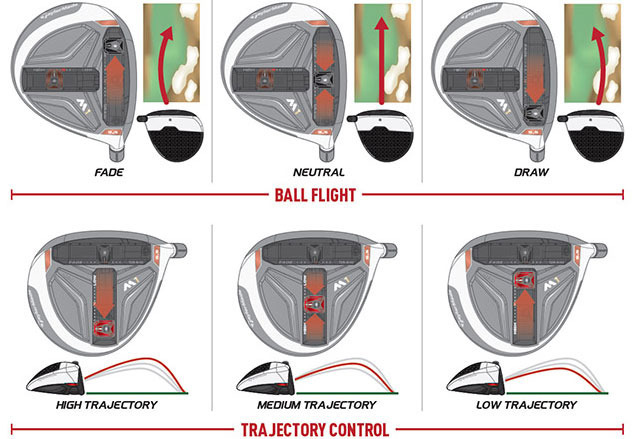 They effectively transition the heaviest weight to the middle of the club face. All of this translates into your shanks not looking so bad and having the feeling like there is a massive sweet spot on your club that you just cannot miss. Choosing the right driver is not easy. Honestly, it’s like putting together a puzzle: analysing the speed of your swing, deciding on the right loft, picking the best adjustability settings…We wanted to make this job easier for you and found the best options for the most forgiving drivers that are true leaders in this category. As we’ve said before, golf is a game of confidence. And with one of these you will definitely feel it as well. Why is the Cleveland Golf Men’s 588 Custom Driver undoubtedly the most forgiving driver of all, when you rated its forgiveness at B+, the lowest of all (as indicated in your chart). This is quite a detailed post. Amateur golfers should go for these types of clubs, however there are many more to choose from and this post just scratches the surface when it comes to golf clubs, however it gives an excellent description of what you should be looking for when choosing a ‘forgiving’ golf club. I am looking for an older (or newer) Raider Mass driver. Will buy immediately. Thanks. You’re right Patrick. An update to the article is on the way, stay tuned.